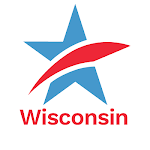 The Wisconsin State Senate last night passed its version of the $62.5 billion state budget. Contained in that document is an extremely troubling provision that could hamper the ability of the Wisconsin Government Accountability Board (GAB) to mount and sustain an investigation into government corruption and other wrongdoing - the very type of corruption that produced the biggest political scandal in Wisconsin's modern history - the Legislative Caucus Scandal of 2002. The provision in the Senate budget strips away the "sum sufficient" funding -- which means basically all that is necessary -- for investigations into wrongdoing. Instead the GAB would be required to go to the Legislature to beg for funding to mount or continue an investigation -- which might be of members of the Legislature! In October 2002, Senator Michael Ellis (R-Neenah), working with Senator Jon Erpenbach (D-Middleton) and Common Cause in Wisconsin -- in the wake of criminal chargings of the top legislative leadership for illegal campaign fund raising in the Capitol -- devised the concept of an independent agency - the GAB - which would be able to ferret out corruption and wrongdoing without having to plea for the funding from the Legislature to be effective. The ability of the GAB to be able to investigate totally free from fiscal constraints and conditions placed on it by the Legislature was the cornerstone to this fundamental state government reform. The provision added and passed in the State Senate yesterday, undermines it completely. To reiterate: this provision (below) added in the Senate Budget undermines the independence of the GAB and could hamstring investigations into felony misconduct in public office -- which the top legislative leaders of both political parties were charged with in 2002. Assembly leaders must insist that this provision be deleted from the budget when they meet with the Senate leadership next week to begin to iron out differences in the budget between the two chambers. Convert the investigations GPR sum sufficient appropriation to an annual appropriation. The appropriation authorizes the Government Accountability Board to expend GPR for the purpose of financing the costs of investigations authorized by the Board for alleged violations of state election laws, ethics laws, lobbying laws, and campaign finance laws. As a sum sufficient appropriation, the Board is not limited to expending the amounts identified in the Chapter 20 schedule for the appropriation ($31,100 GPR annually under Joint Finance). Rather, the Board is authorized to expend the amounts necessary to accomplish these purposes. The amount in the Chapter 20 schedule represents an estimate of these costs that may be incurred by the Board. Converting the appropriation to an annual appropriation would limit the Board to expending no more than $31,100 GPR annually for investigation costs, or seeking additional funding under s. 13.10 or through separate legislation if costs exceed this amount. State Senate - Passed Budget Bill Provision Undermines Power of Government Accountability Board to Investigate Wrongdoing in State GovernmentTweet this!